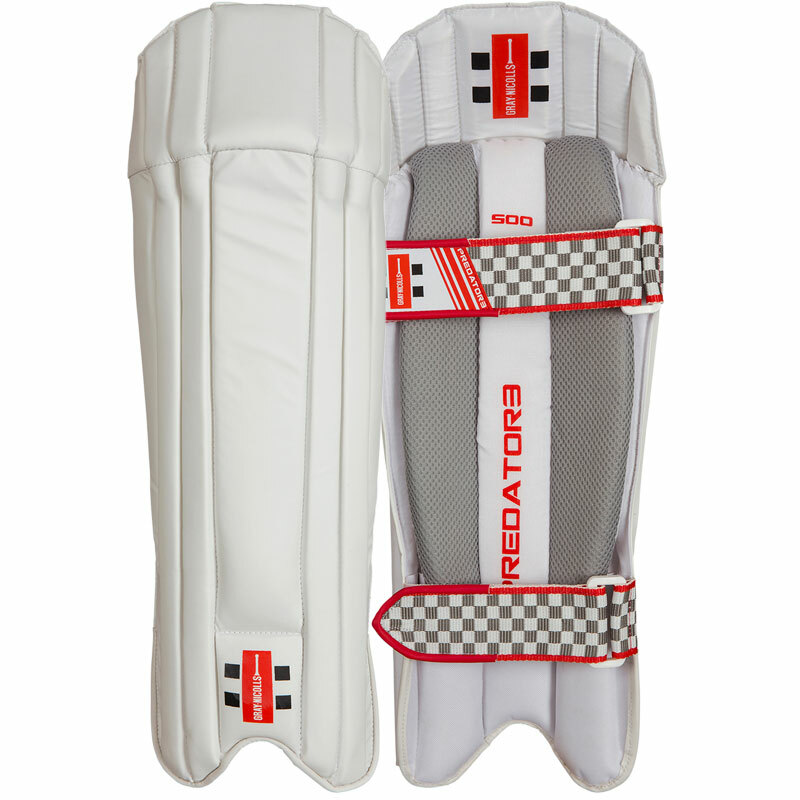 Gray Nicolls Predator 3 500 Wicket Keeping Legguards - it's all about taking the half chance. Whatever your stage, don't miss the opportunity to set the standard with Gray Nicolls. 15 first class wicket keepers can't be wrong. Modern pad which follows the styling of the range - lightweight and sleek design. Combination of HDF and lightweight cane rods for excellent protection. 3 internal vertical bolsters with additional cotton fill provide a comfortable feel. 2" straps for comfort and fit.